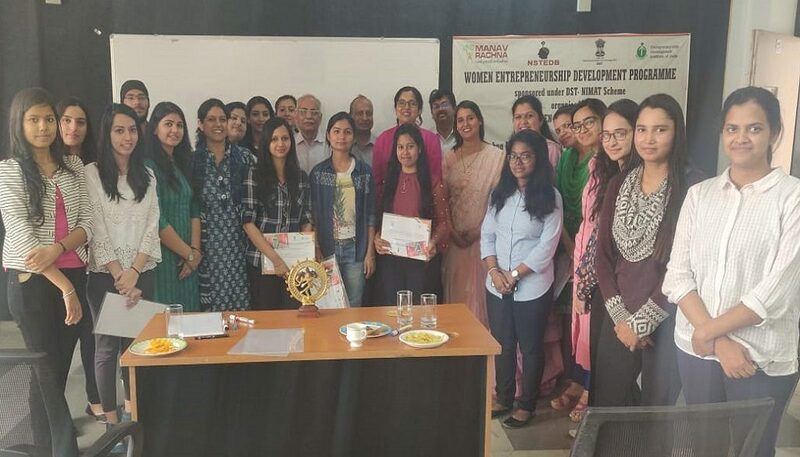 The valedictory ceremony of 5 week Women Entrepreneurship Development Program which commenced on Feb 25, 2019 was held on March 27, 2019. 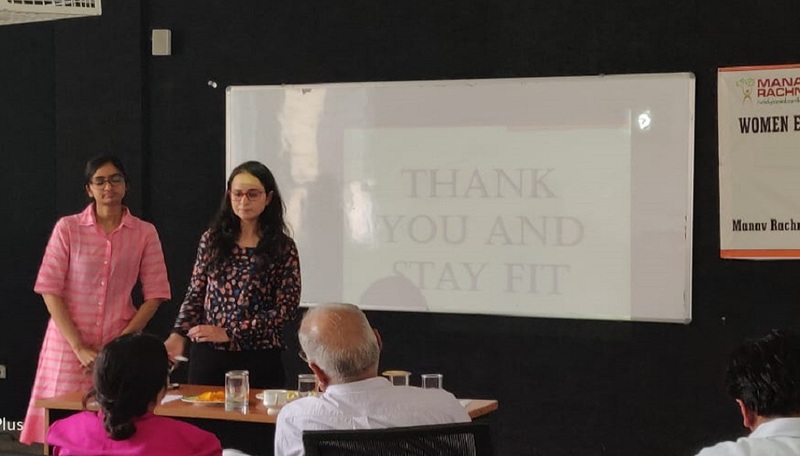 The session started with the participants pitching their business idea in front of the panel of four esteemed judges- Ms Rena Ghai, Managing Director, Green Ice solutions Pvt Ltd; Ms Jaya Goyal- Chairperson Women Entrepreneur Cell, I am SME of India; Mr Ram Kumar Gupta- Expert Trainer & Professor, Entrepreneurship; and Mr Arun Goyal- Advisor Management & Finance, who greatly appreciated the efforts of all the women participants and expressed keen interest towards mentoring and funding a few of them. 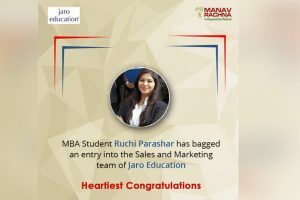 The venture named ‘Ojaswi’ by Deepika, a MRIIRS Ph.D. Scholar, another venture named ‘Fit plate’ by final year students of MRDC, Sanskriti and Richa and venture named ‘Sarvya Sweets’ by Manav Rachna Biotech student, Goldy received the Judges Appreciation Award. 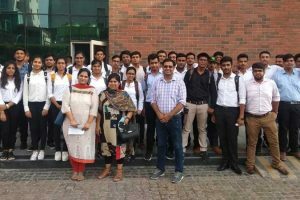 The students will now work towards taking their business plan further with complete hand holding and mentoring provided by New Gen IEDC and the coordinators of the program Dr Bindu Agarwal and Dr Pragati Chauhan.